Bespoke Frosted House Name and Door Numbers. 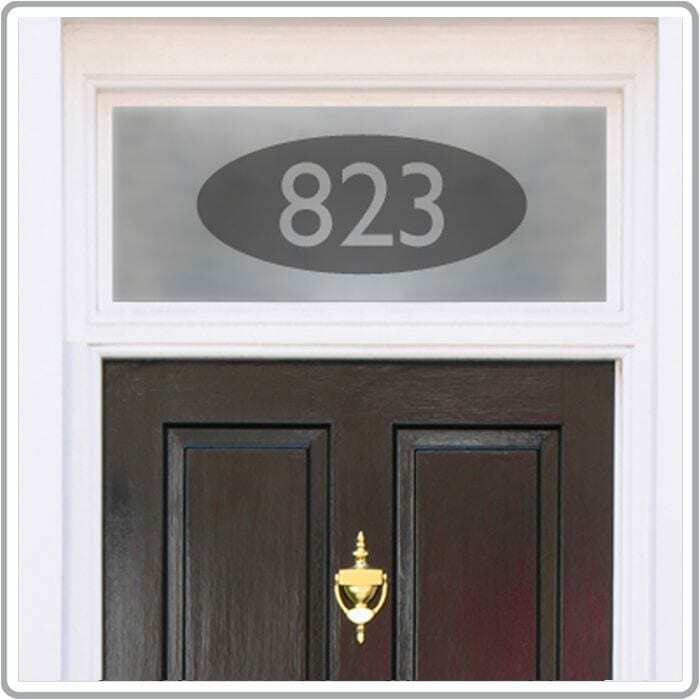 To order your bespoke frosted house number or name, simply enter your required dimensions in centimetres and your house number or text in the boxes above. Your chosen design will be scaled in proportion to your given sizes by our in house designers. If you would like to see a FREE proof of your order, or would like to modify the design in any way, then please specify this in the ‘Special Instructions’ box at the time of order or give us a call. Once fitted, the film will give the appearance of sandblasted or etched glass and give excellent two way privacy whilst still allowing 80% of light through. This film is an easy to install self-adhesive film and applied directly to any smooth glass surface. Your order is supplied with a free plastic squeegee to help with installation and easy to follow fitting instructions. If you would like us to fit the film for you, then please contact us for a free no obligation quote.